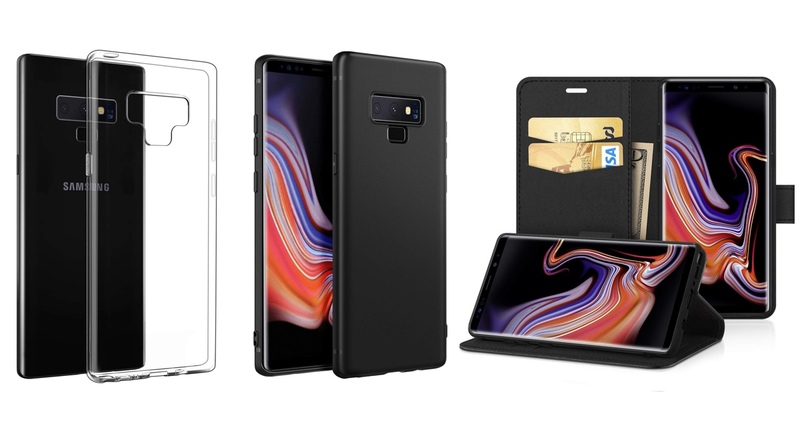 Out and about hunting for the best Galaxy Note 9 case without breaking your wallet? We have three of them from EasyAcc which are 40% off right now. Though the Galaxy Note 9 will launch by the end of this month, you can pre-order the phone right now. Along with that, it’s probably a good idea to take some time out and invest in some accessories as well. This includes cases, screen protectors, cables, wireless chargers, car chargers etc. Today, we’re going to expand your case options with the introduction of three new cases from a company called EasyAcc. If you can’t recall, they’re one of the best in the business when it comes to mobile accessories and we’ve featured them before as well. For a fraction of a price, you get a complete accessory that does as advertised with peace of mind of a high-end accessory. That’s a lot of praise right there. There are three options on sale right now. One is a regular soft TPU case, the second option is also TPU but in an awesome black matte finish while the third one is a leather wallet case. You can find all these options for under $11 if you go ahead and buy them right now. However, if you apply the code EANOTE92018 at checkout, then the price is reduced by 40%. That’s a massive bargain! Hit the links below to pick up the deal right now. But remember, the deal expires on the 17th of August so make your move quick. Like, really quick.